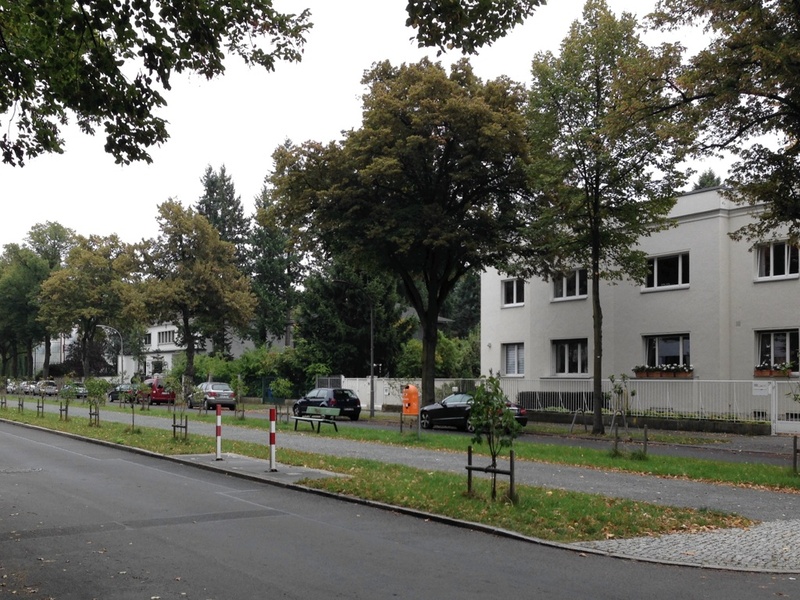 I spent last weekend in Berlin, easily one of my favourite cities to visit. I checked out landmarks, visited museums, loitered in gay bars and generally soaked up the cultural vibe. 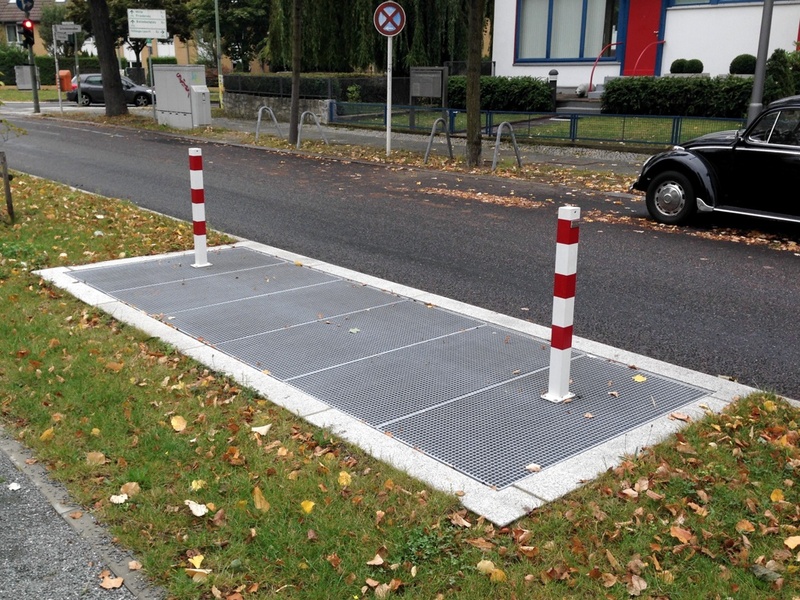 Berlin is renowned for its excellent public transport system. 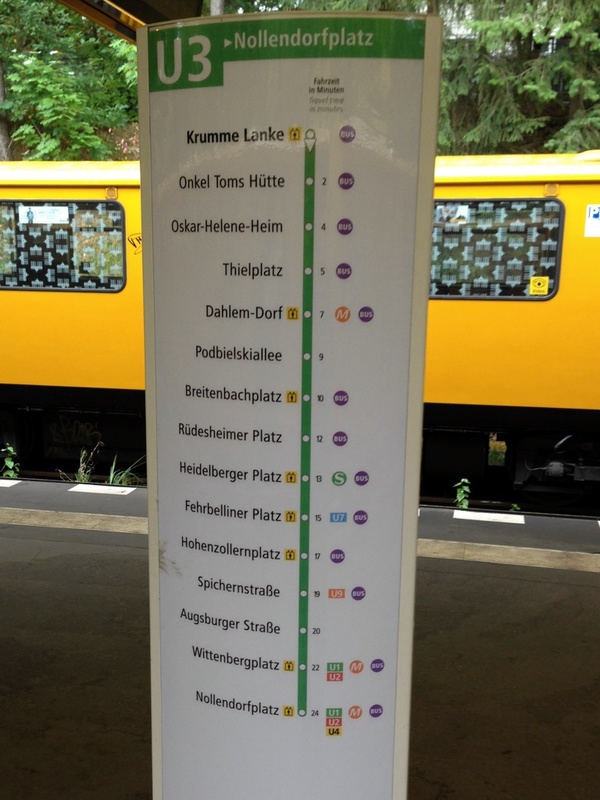 The city is criss-crossed by a dense network of rail routes: the U-Bahn (underground) and S-Bahn between them cover most of the city and parts beyond. 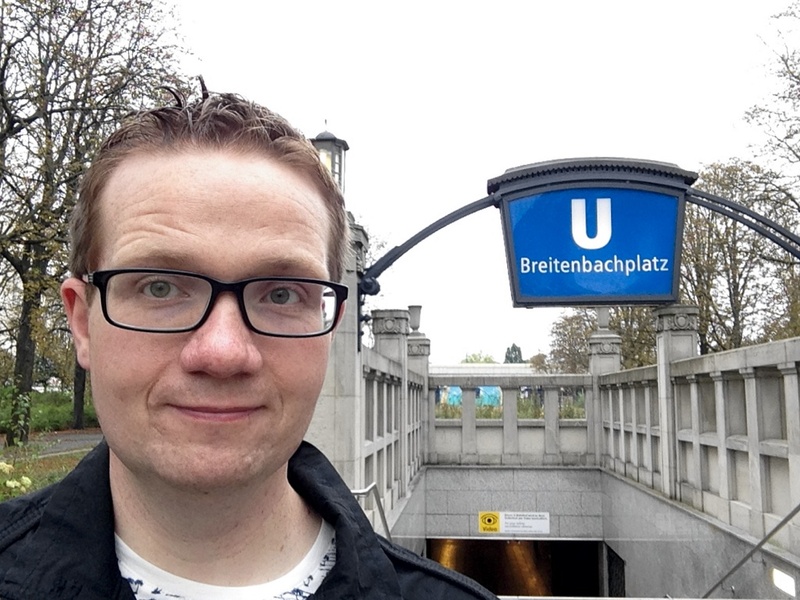 Until now, though, I had always ridden the system purely for practical reasons: to get from A to B (or should that be Ä to ß?). 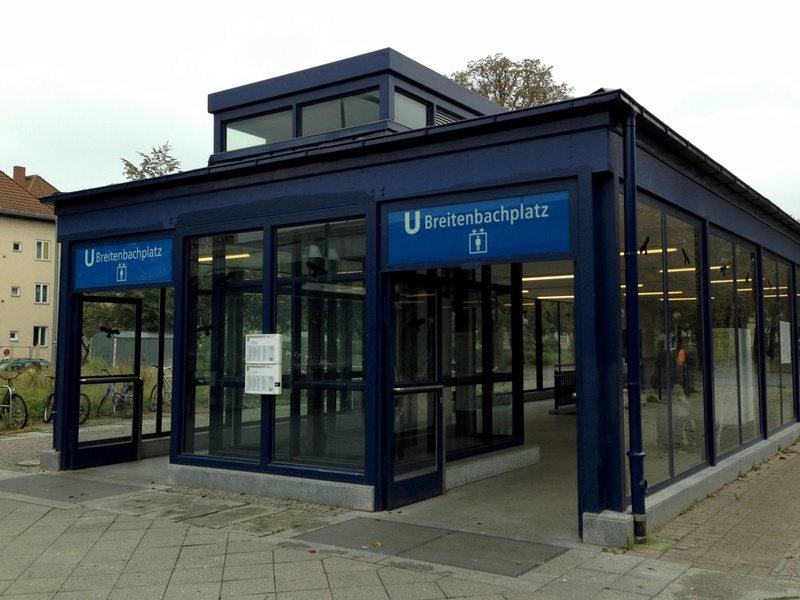 On Saturday morning, however, I decided to put my Station Master hat on and take a ride on the U-Bahn just for the hell of it, and to provide some content for this blog and its increasingly broad remit. 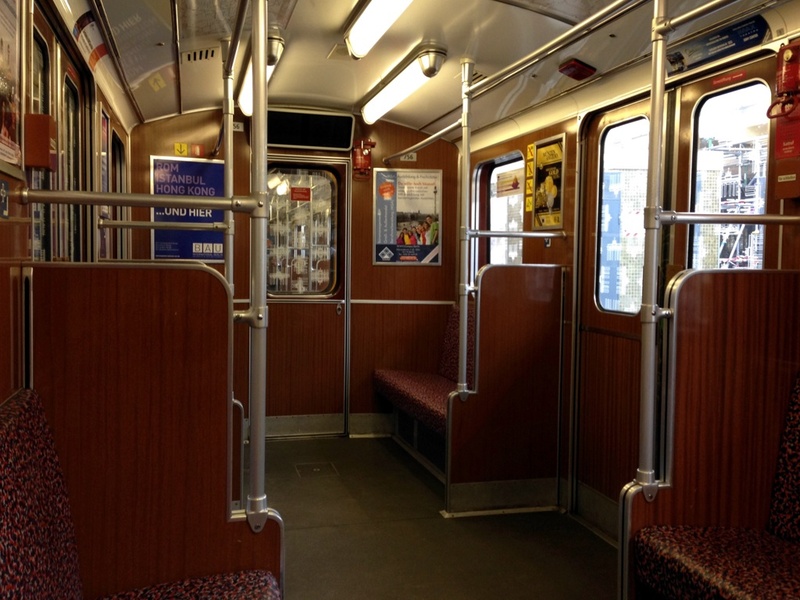 I chose to ride on line U3, for several reasons. First, it’s relatively short (just 7.5 miles) and I reasoned I could cover its 15 stations easily in one morning. Secondly, its one of the oldest parts of the network (opened in 1913) and I thought it may yield some historical secrets. I was right on both counts. I was amazed to find that my train, when it pulled in to the station, was only two coaches long. Yes, it was Saturday morning and fairly quiet (despite the short length, nobody had to stand at all), but for someone more accustomed to the never-deserted London Underground, it was startling. The train I was riding on dated back to the early 1970s, which perhaps explains why every surface was covered by a mahogany veneer. 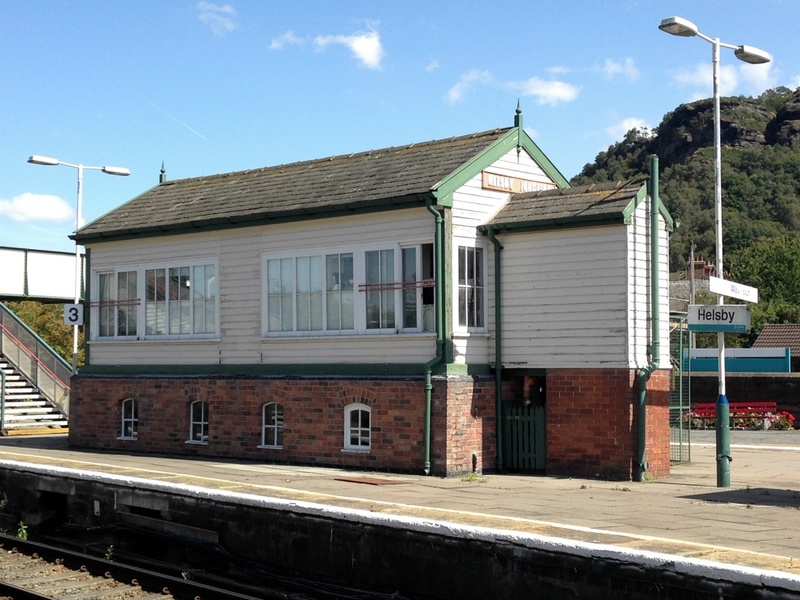 On a sunny day, there are few better places to wait for a train than Helsby station, a proper old-school country station. It is awash with colour and flowers, thanks to the efforts of the North Cheshire Rail Users Group, who keep the place looking spick and span. Network Rail contractors in orange overalls were busy repointing the stonework on the station buildings. The sound of chirping birds mixed with the bells and clunking levers from the old -fashioned mechanical signal box on the platform. I was waiting on platform 4 for the 1517 to Ellesmere Port, via Ince & Elton and Stanlow & Thornton. Seeing the latter station on the scrolling electronic display triggered old memories, sending a shiver down my spine. If Coach B on East Coast Trains is the Quiet Coach, then Coach C must be the annoying children coach. The fun began when I boarded at Newcastle and found a toddler in my reserved seat. His mother eventually managed to persuade him to move, but he then proceeded to climb all over other seats, lie down in the aisle and run around pulling the reservation tickets out of the seat backs (which caused enormous fun at Durham when several people boarded and found their reserved seats occupied). His mother managed a half-hearted “don’t do that, darling” before returning to her paperback. I’m not (honest) a “children should be seen and not heard” type, but really, there are limits. As Humphrey Lyttelton was fond of saying on I’m Sorry I Haven’t a Clue: Come back Herod, all is forgiven! Worse was the family at a nearby table seat who produced a portable DVD player and started to watch Doctor Who. WITHOUT HEADPHONES. Honestly, I’m not in favour of capital punishment, but I would make an exception for people who do that. Of course, I didn’t object publicly to any of this, instead preferring to passive-aggressively whine on Twitter. I’m British through and through. 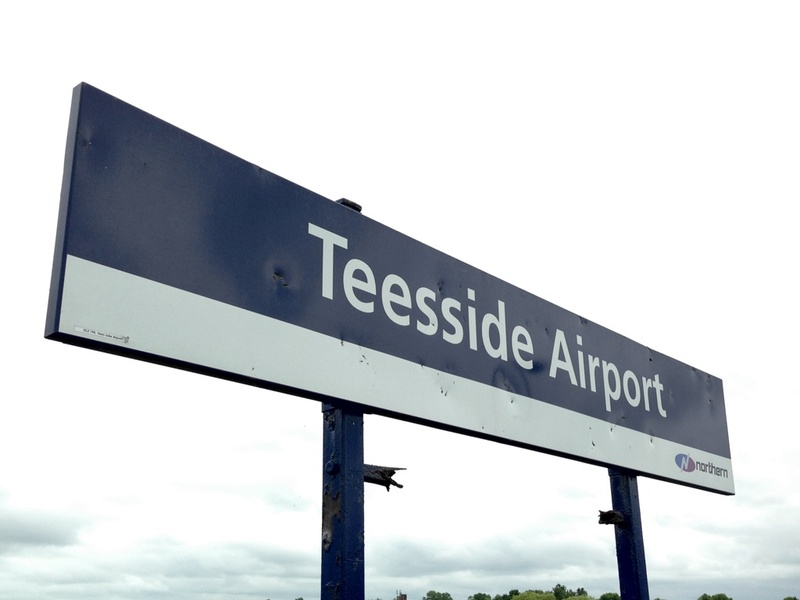 My train left Widdrington and bounced slowly southwards. For the first time, there were actually people on board – presumably they had boarded at Alnmouth for a journey to Morpeth or Newcastle. 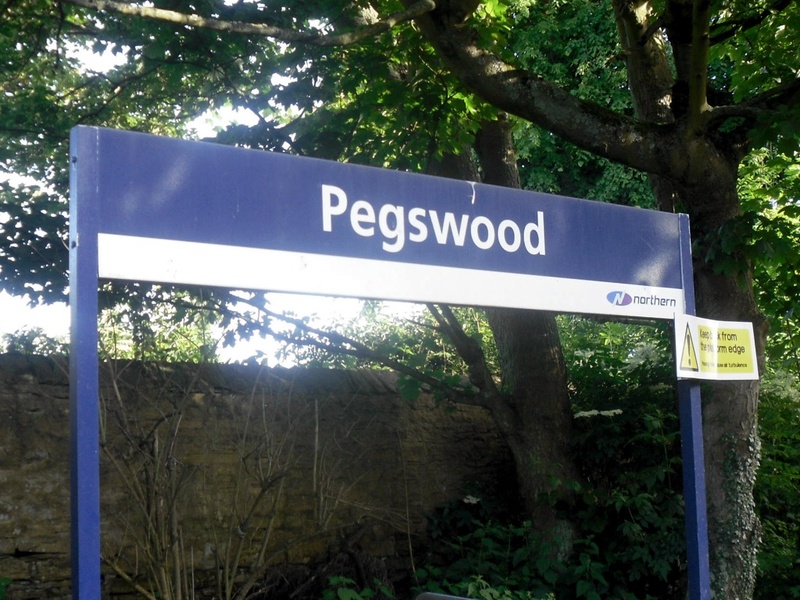 I was only going one stop, and a few minutes later I jumped off the train (literally; the gap between train and platform is formidable here) at Pegswood. Pegswood has a Harrington Hump on the southbound platform. 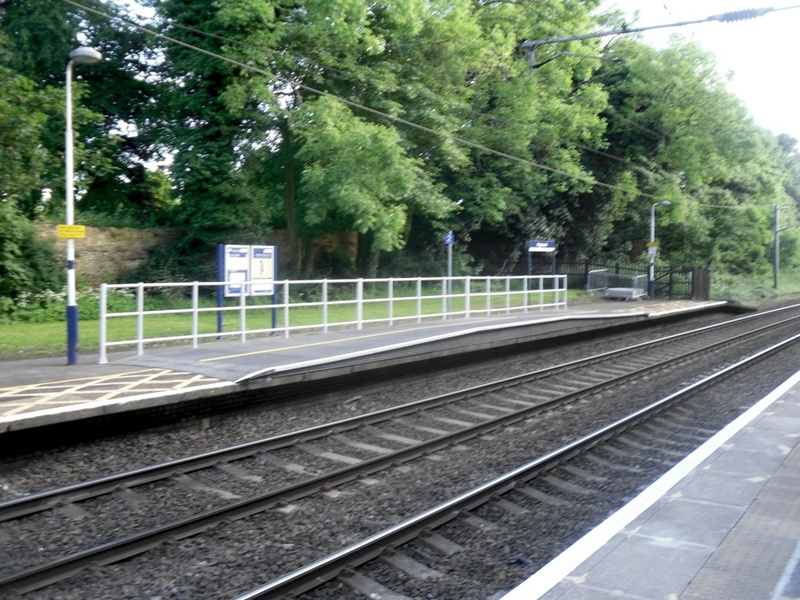 These features, designed to reduce the gap between train and platform without going to the trouble of raising the entire platform, are appearing at a number of stations across the Northern network. While I wouldn’t argue that it’s useful at Pegswood, it does a seem a bit odd to spend money installing one here, at a station which receives precisely three trains each day. 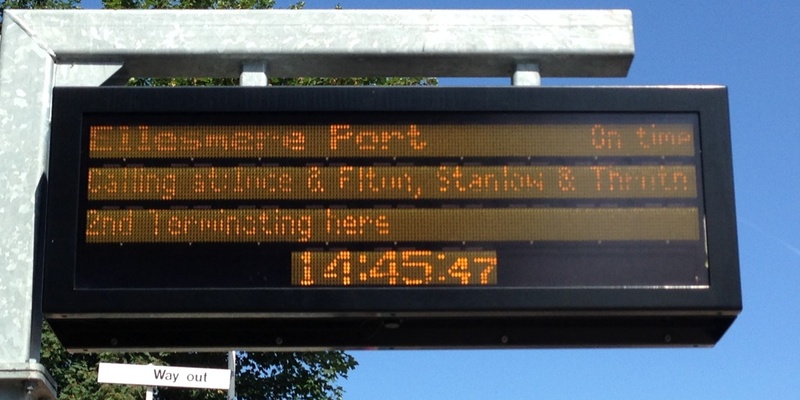 Still, I’m sure the 1,650 people who use the station (according to the latest stats) will appreciate it. The bus made its way back north. No criminals this time, just a mix of shoppers and commuters making their way home. 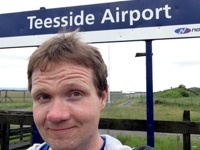 I saw the red BR sign for Widdrington in the distance and took that as my cue to ring the bell – too soon, it turned out, as I got off one stop early. 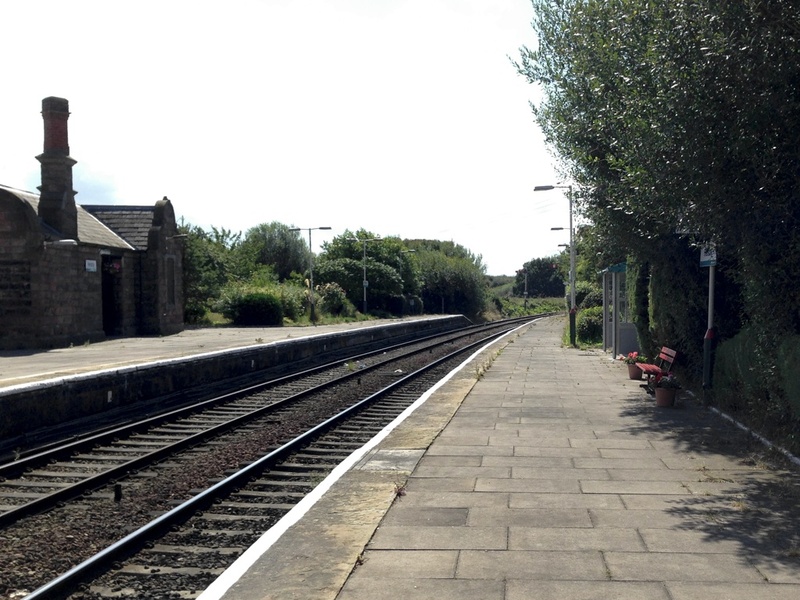 The original Widdrington village is actually some distance from the station. The houses and shops here are a new community which grew up around the railway. 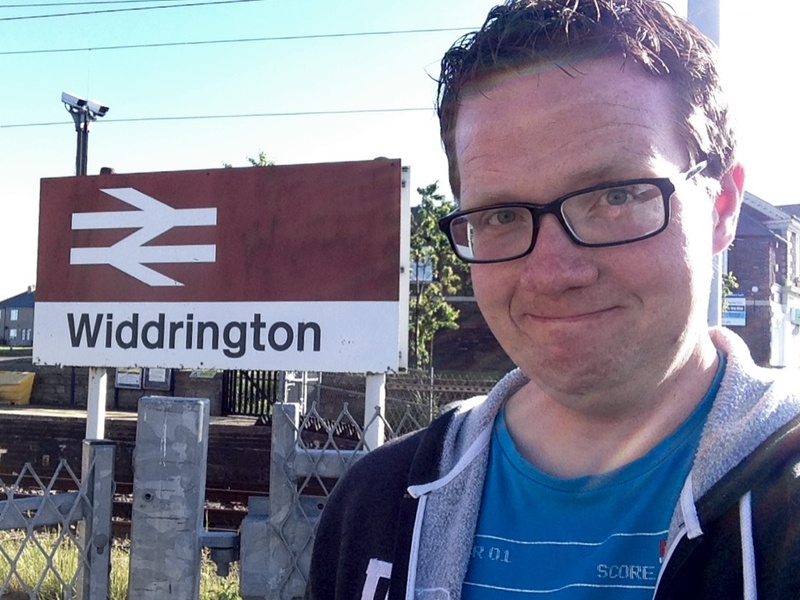 This village is actually called Widdrington Station. 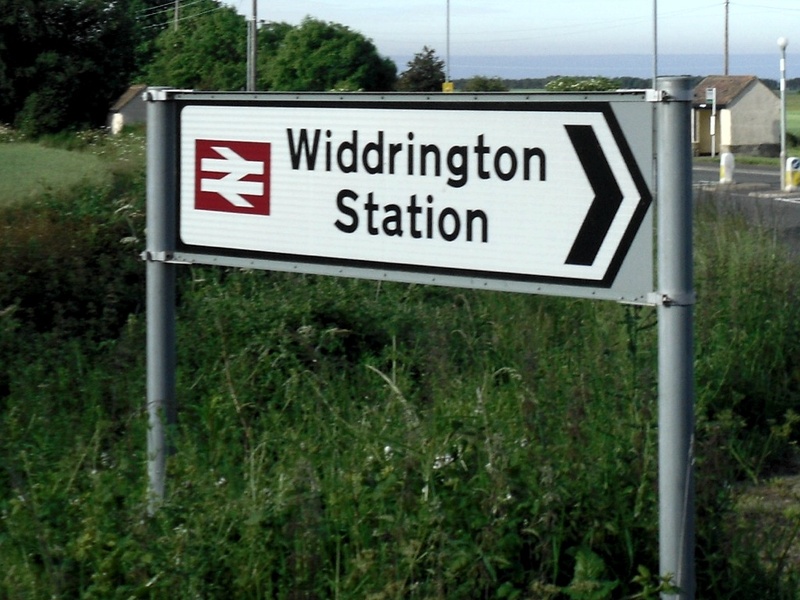 So Widdrington station serves the village of Widdrington Station, while Widdrington itself is a mile further North. I hope that’s clear. If I look slightly discombobulated in this picture, then… that is accurate. I climbed up to the upper deck of the X18 as we departed Acklington. The official best bus seats were taken up by two youths wearing baseball caps, so I took a seat a few rows behind. The two lads were loudly discussing the criminal records of unnamed acquaintances. It didn’t help that the bus made a detour to serve the visitor centre of HMP Northumberland, which only served to make them nostalgic for old friends who were spending time there. 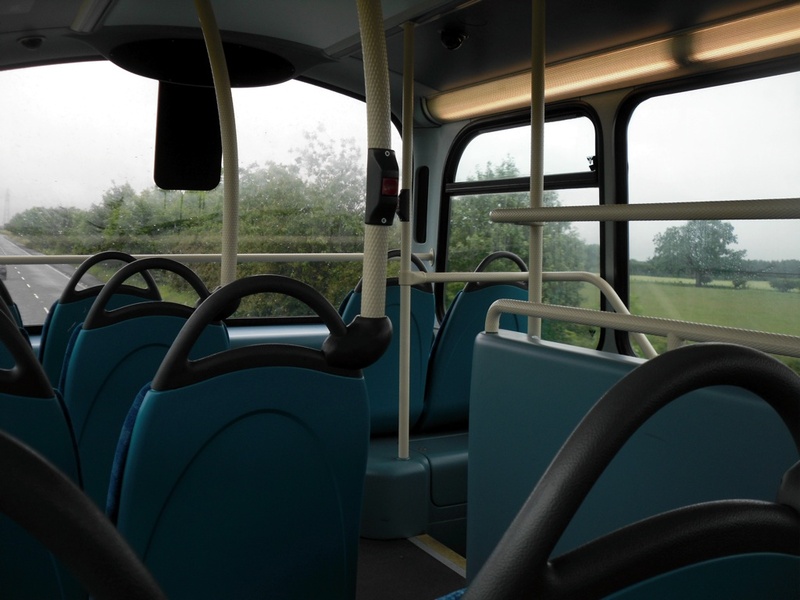 Thankfully they got off at another village soon after and I then had the top deck to myself. The X18 is a double-decker, just a little bit too large for the country roads it uses. We swerved round blind bends, the journey occasionally punctuated by overhanging tree branches banging against the windows. Helpfully, we passed through both Widdrington and Pegswood, two places I would be returning to later in the day, and I did my best to memorise where the bus stops where in relation to the stations. I also spotted something at Widdrington that I thought might come in handy later. 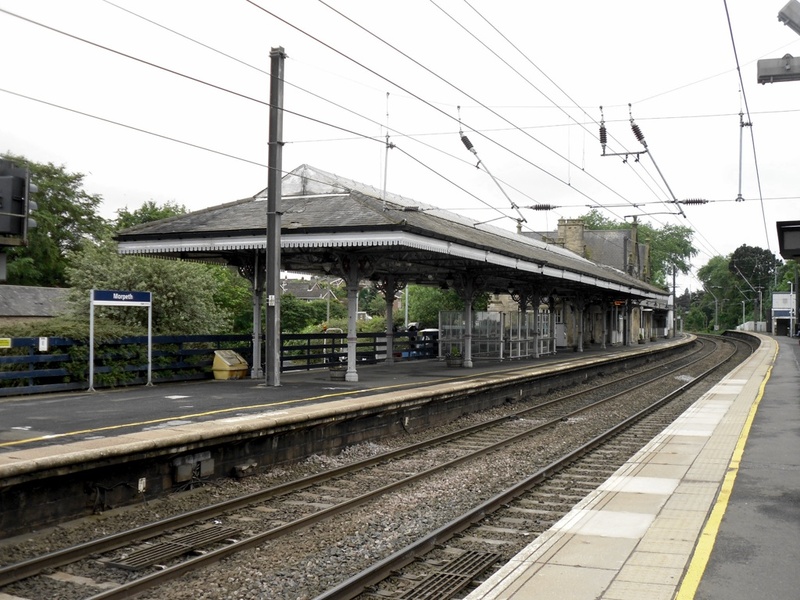 My next destination was Morpeth. I thought it would be as good a place as any to spend the day before resuming my journey to the other stations on the line later that day. I got off at the bus station. First order of business: some proper breakfast to replace the melted KitKats which had been my only sustenance so far. Morpeth town centre is full of charming cafés. I, of course, went to Costa Coffee. Look, I was starving and a chain store breakfast roll is a known quantity.